Review: They Might Be Giants, 'I Like Fun' The sparkly collection — songs about death, dismemberment and other unfortunate events dressed up for a Friday night joy ride — sees the long-running duo attempting genuinely new ideas. John Flansburgh and John Linnell, the braintrust of They Might Be Giants, have been writing songs at a seemingly furious pace for somewhere around 30 years. Lots of songs. Twenty albums' worth, plus those daily Dial-A-Song ditties of the pre-Internet era, plus movie soundtrack one-offs and TV themes ("Boss of Me," the Malcolm in the Middle theme, won a Grammy), plus ad campaigns (a memorable one included 14 songs for Dunkin' Donuts). What usually happens with this much output: Over time, the songs can seem templated, cut from familiar molds. 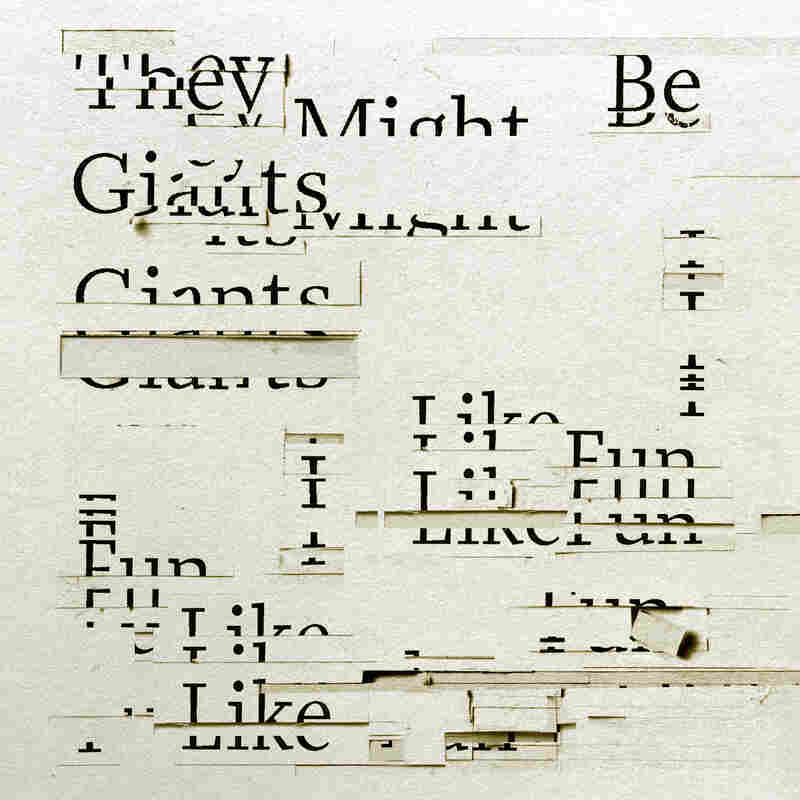 Indeed, TMBG has developed a large toolkit of such devices; just about every record (even the ones for kids) offers a balance of delirious inspiration and steady-handed professional songwriting boilerplate. These guys know how to craft an addictive refrain, and precisely when to deploy it, and how many times it should repeat. The sparkly I Like Fun suggests that Flansburgh and Linnell are working hard, really hard, to reduce their dependence on those boilerplate elements, in hopes of breaking through to genuinely new ideas. Several of the tunes are built on clipped, almost coded verses that don't last the typical eight measures, a single structural change that makes them jarring. Other compositions are scored for strange combinations of horns and kazoo-style fake-horn vocalizing. Some pieces are short little etudes, others are more like suites: "Lake Monsters," which imagines a world where lake creatures emerge to vote on election day, pivots from a sticky midtempo R&B groove to a fully revved double-time shout for the finale. This sets up the closing deep thought: "No hypnosis like a mass hypnosis 'cause a mass hypnosis isn't happening." It's possible to miss some of that dark stuff — and it's high-octane Black Mirror-ish stuff, not run-of-the-mill existential gloom — because Flansburgh and Linnell wrap everything in radiantly bubbly power pop, and fuzz-guitar punk, and Beach Boys vocal-harmony flourishes. I Like Fun is a series of lugubrious songs about death, dismemberment and other unfortunate events dressed up for a Friday night joy ride. Of the several missing limbs discussed in these songs, the most disorienting comes just after the joyous Jackson 5-style guitar introduction to "Push Back The Hands:" "You would give your right arm to go back to when you had a right arm." Likewise, TMBG look at death from all sides. "I Left My Body" employs a sanguine, Kinks-ish tone to tell of a departure, and it all seems fairly conventional until the line about how "they're gonna tow you if they think you're abandoned." It's the parking authority as the essence of fear, even in death's aftermath. It's the same vaguely absurd idea-juxtaposition that They Might Be Giants have always dished, just lifted into a loftier place — song-nerdism taken to rococo extremes. When you consider all the songs that these two people have written, it's downright inspiring to hear them still out there trawling for those divine (and increasingly elusive) moments of pop bliss.